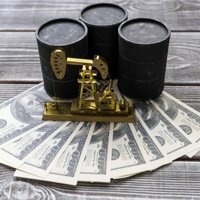 With the economy being as vulnerable as it has been over the recent past, it's as important as ever to hedge your bets with sound investments like silver coins. Investing in silver is among the more cautious means of preserving wealth, especially in our current economy. With the strong historical performance of silver throughout the decades, savvy investors know that at least a portion of their capital should be dedicated to precious metals. While there are many ways in which to invest in silver, many investors choose to look to silver coins as their vehicle of choice. It's one of the more traditional means of investing in silver and protects investors from credit risks, which is a typical issue when it comes to holding contracts. Silver is considerably cheaper than gold, which makes the white metal a viable option when it comes to investing in precious metals. Silver bullion coins are backed by the host government, who will always guarantee the purity and weight of the coins they create. The most popular silver coin is the American Silver Eagle, which is produced by the U.S. mint and is recognized across the globe as the standard for silver bullion. Silver coins are generally sold in 1-ounce sizes and 0.9999 fineness. As of April 8, the U.S. Eagle silver coin can be purchased for $18.91, and the Canadian Maple leaf coin follows closely behind at a price of $18.36. Many of the costs associated with storing silver coins can be offset by purchasing in bulk. According to Money Morning Resource Investing Specialist Peter Krauth, such purchasing activity is known as "value density," which is a more cost-efficient means of buying silver coins as opposed to buying a single Silver Eagle coin, for instance. Purchasing silver coins individually is a much more expensive way to obtain them, considering all the labor that goes into developing the coin. 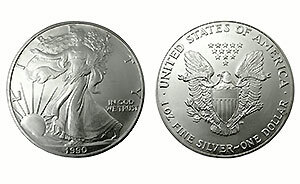 Just one Silver Eagle can cost anywhere between $3 to $5 – but the more you buy in bulk, the lower the unit price. Those who are interested in investing in silver coins can buy them directly from the U.S. Mint. They can also be bought from independent specialty mints, including the Franklin Mint; however, such firms typically charge a significant markup compared to the silver spot price. It's also important to note that coins purchased from these privately operated mints don't provide investors with a strong aftermarket, which compromises the value of such investments. Many savvy investors choose to purchase from reputable silver bullion dealers who are well-established and have a solid track record. But like any other dealer, the mark-up on top of the spot price of silver is something that investors need to be aware of. Investors can expect to be subject to anywhere between 3% to 6% premiums above and beyond the spot price of silver under normal economic conditions, and as much as 15% over the spot price in times of economic distress as more investors seek safe-haven investments. It's important to shop around and compare the reputations and premiums charged by various silver coin vendors prior to making a final purchasing decision. An interesting and powerful trend that's emerged is the rate at which investors are buying silver. In fact, it's the fastest pace that's been recorded in over two years. According to Krauth, what this means is that investors are seeking out safe-haven investments like silver. He notes that the price of silver will likely experience some weakness as the U.S. dollar remains strong. But following that trend, silver can expect strong and steady gains, making investing in silver a sound investment. To discover how to invest in silver for maximum profits, sign up for Money Morning Private Briefing today.